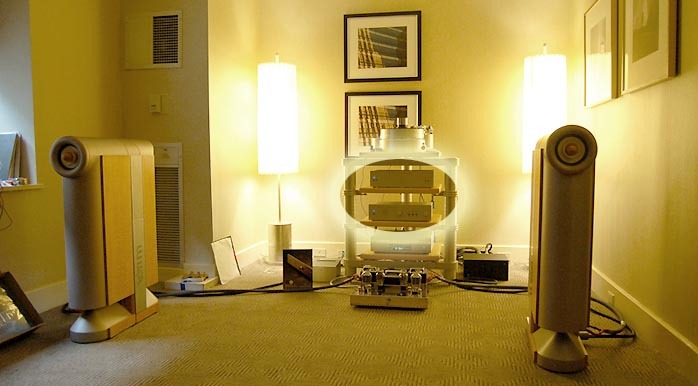 In the American world of hi-end hifi mods, Dan Wright is a kind of Dudley Do-Right. That makes his company ModWright of course - a devilishly clever name if ever there was one. However, if we go beyond mass-market universal machines used as development platforms, some specialty manufacturers take stern offense at this particular aftermarket segment. It survives and thrives and thus relies solely on their contributions. All the while it justifies its existence right between their eyes: "We can improve anything and everything the original manufacturers of your gear knew how to do, no matter how much money you spent on your component". If you were a manufacturer, wouldn't that irk? Additionally, if sold as a package by the modifiers -- as factory-fresh machine with pre-installed mods -- discounting on such machines can be hidden in the surcharge for the mod. That stings the manufacturers' official dealers who must compete against themselves of sorts; against their own brand hot-rodded with XL innards. Dan Wright never entered that sector. He focused instead on Sony/Denon-type digital hardware outside the cottage industry corner. 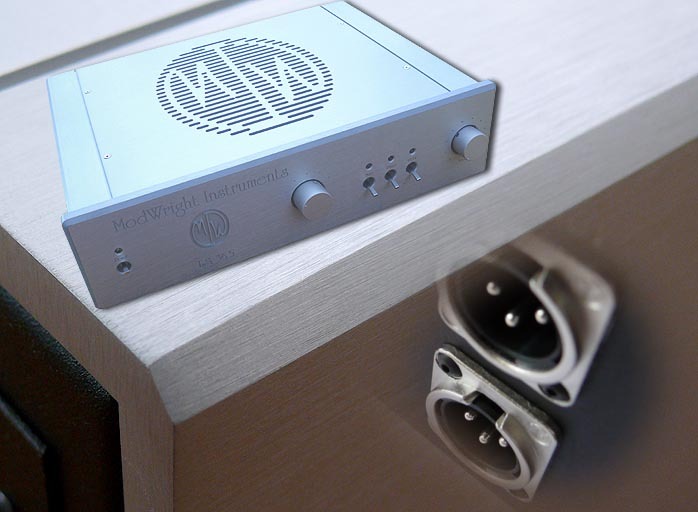 Then he released his SWL 9.0SE hybrid valve preamplifier with remote to formally join the manufacturing leagues. This silenced those dissenters who continue to claim that modifiers lack the chops to designs their own circuits from scratch; that they are mere bottom feeders who throw expensive designer parts at other people's machines to make a fat bundle of cashish. Some perhaps are - and sans serious design chops on top of that. But now enter the mod man manufacturer. Not only have those three emms quite the ring to 'em, they also tidy up the new machine with preinstalled mods concept to become a true line source. 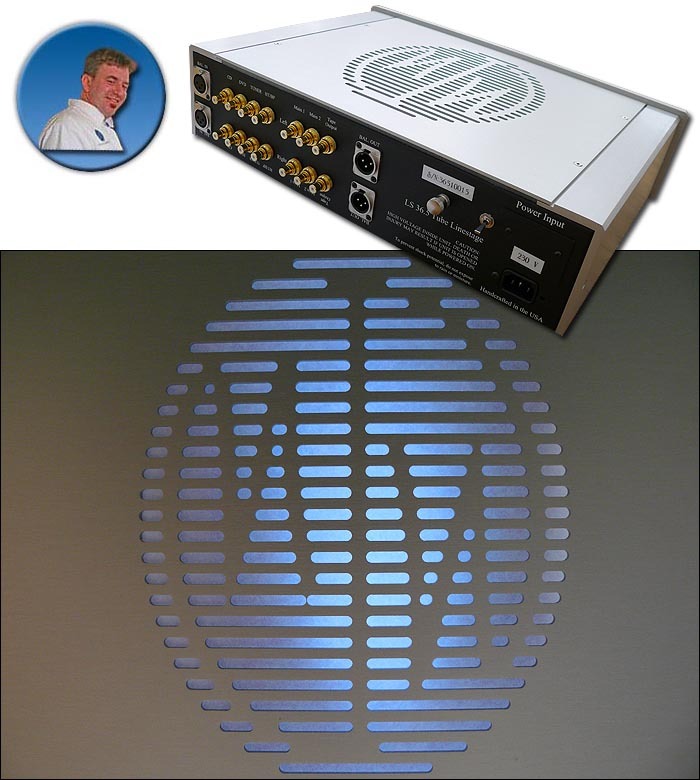 achieves a 4:1 lower noise floor via transformer-coupled outputs and pioneers a new "QFM Mu-type circuit advanced far beyond the 9.0 circuit, with a single cap in the signal path". There's new tubes in Teflon tube sockets (6H30s instead of 5687s); a restyled aluminum-clad, CNC-machined chassis with 16-gauge steel base and deep engraving; and an upscale though plastic remote control with phase inversion. This latter and rather sought-after feature is duplicated also on the chassis. Oh, and the balanced 36.5 sports one set of XLR i/o ports each, plus 4 RCA inputs, one fixed and two variable outputs. With home theater thru-out. Once again an advanced variation on Alan Kimmel's Class A Mu circuit is exploited and openly credited. So are significant improvements in the grounding and shielding over the 9.0SE, including a chassis ground/float switch whereby the chassis itself always remains connected to earth ground for safety but power and signal grounds may either be coupled to earth or chassis ground or floated for different setups. The gain too has been lowered versus the 9.0 to allow for greater volume control range. "I am very excited about the reception of this product as it is a significant step beyond the 9.0SE and 9.0SE Signature edition. We have learned a lot since our Freshman offering. 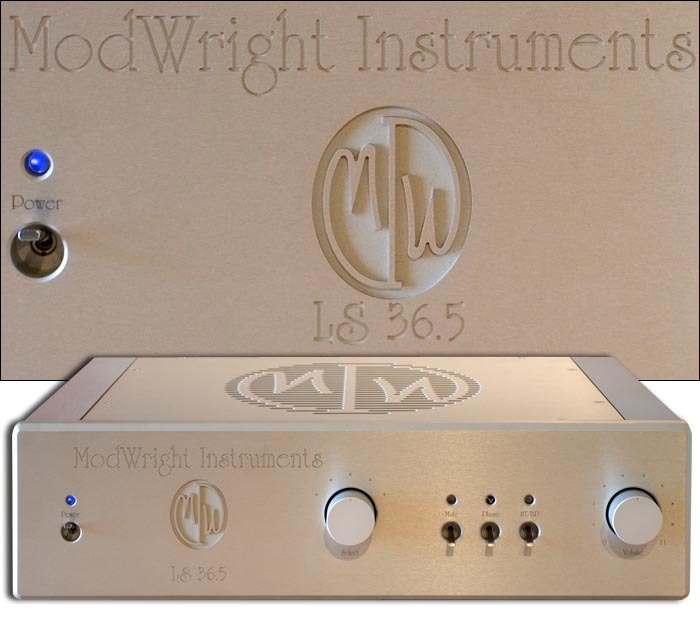 Our own custom-designed ModWright Instruments capacitors (nothing else was good enough for us), Teflon tube sockets, redesigned power supply and analog circuits (much thanks to Alan Kimmel again for his contribution) and a significant step up in overall build quality all make the new LS 36.5 a true advance over the SWL 9.0SE." At $18,500 for BAT's newest REX linestage wonder and $7,499 for Rogue Audio's latest two-chassis Hera assault, Dan's reach for the stars is content with $4,995. That's naturally a far from insignificant amount yet in the realm of statement efforts, still justifiable and reasonable. 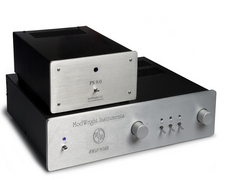 (You can see where audiophile and regular world views collide at warp speed). 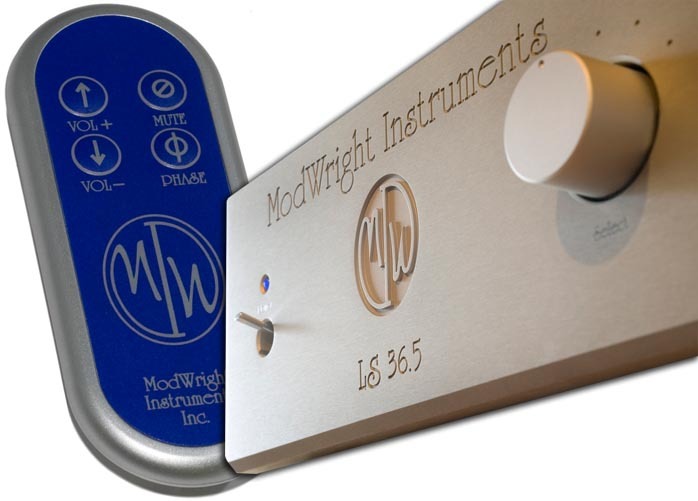 With a tube output stage plus valve rectification, remote volume & phase and true differential and single-ended paths all in one tidy box, the ModWright LS 36.5 is full-featured and practical and exactly what a lot of music lovers want in an active preamp. No surprises there. Dan runs his own forum at AudioCircle and routinely solicits customer feedback for new projects before he greenlights them. Feedback from prospective customers taken serious before the design process begins? Might Dan be on to something with this - er, backwards approach? Considering how very well the SWL 9.0 sold, often to the reviewers who wrote it up; and how half the first production run of 36.5s was spoken for well prior to release... build it and they'll come is not a workable recipe in hifi. Ask what they want and then build it is, especially if you've got a following. If there's a serious American audio modder/maker more liked and respected than Dan Wright, I haven't heard of him yet [below, ModWright with Art Audio, RedPoint and Rethm at HE2007 in NYC]. 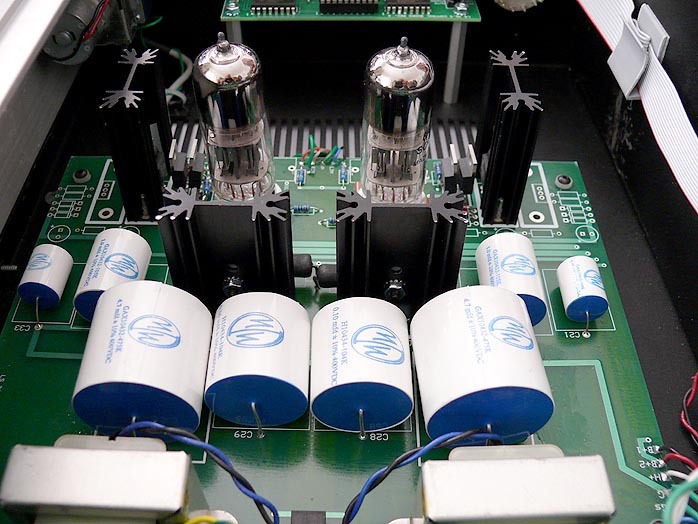 "We did design our own custom capacitors used in the LS 36.5 as well as our phono stages. I had been using Sonicap capacitors which are excellent but I wanted the very best and ultimately settled on designing our own. I chose oil-impregnated poly as the dielectric type for the larger values -- 1.0uf and larger -- and pure Teflon film and copper foil for the smaller value signal path capacitors. They are quite simply better than any capacitors available on the market and the improvement is evident in our new products. 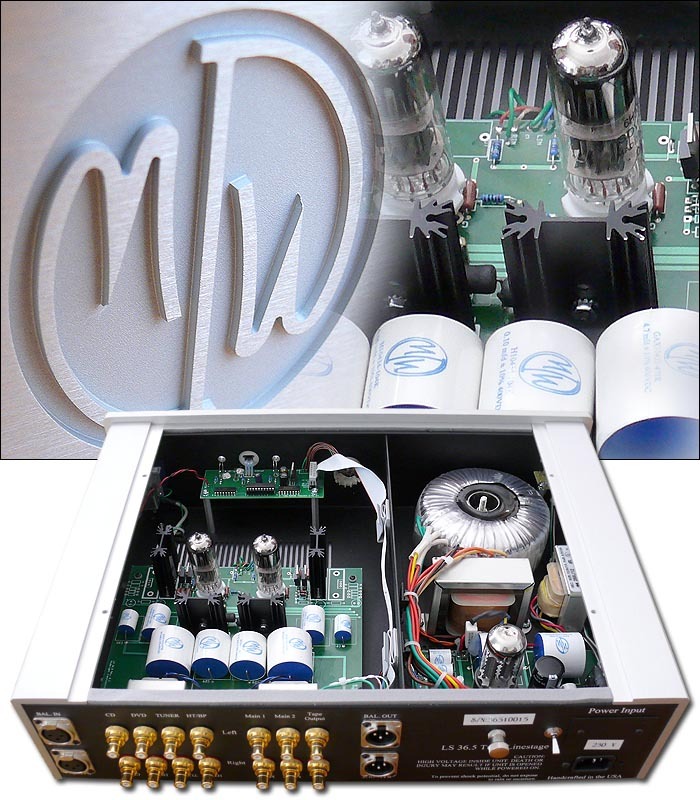 "We are also offering a full MWI cap upgrade for the 9.0SE preamp for $500. This will be available as an upgrade through all MWI dealers. I cannot say that the new capacitors necessarily increase the frequency response of the 9.0SE as it is already very good. Its the tonality and sonic neutrality of the new capacitors where the benefit lies. Another upgrade for the 9.0SE is the new $75 custom remote plus associated user-swappable 20-pin socketed chip." Sez Simon that leave no preamp behind is clearly the battle cry of this 9.0 future-proofing program. New 9.0 Signatures have these upgrades installed. 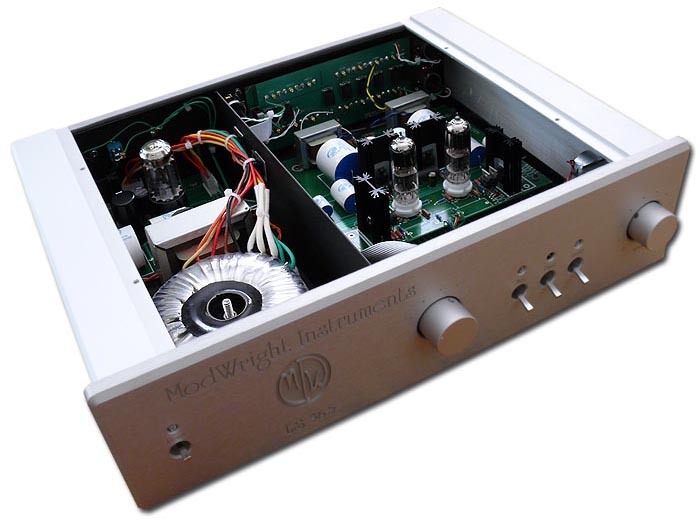 They sell for $2,995 with the tube-rectified power supply inside the main chassis. As someone who formally reviewed Dan's 9.0SE in June of 2005 shortly after its launch and subsequently bestowed an award on it plus purchased it for personal use, a conjugal visit with the 36.5 made extra sense. So this review will naturally compare the two. Further A/Bs will be made against my Wyetech Labs Jade and Supratek Cabernet Dual. Those are valved machines exclusively to stay with an apples-versus-apples theme. The Jade is $3,800 sold manufacturer-direct from Canada, the Cabernet Dual $5,000 sold direct from its maker in Australia. ModWright's finest is available exclusively through dealers so the assumption might be that comparisons will be unfairly weighted. After all, a lot more of your funds can get applied to the actual product if the middlemen are cut out. But let's not discount design chops. The 36.5 designer has clearly paid his dues by learning from others; by evaluating competing circuits; by literally scoping out their weaknesses and strengths to investigate areas of potential improvements. As a tweaky designer, it's not always how much money you spend. It's how smartly you allocate it. Which depends on experience. And, allowable build costs do determine how far you can push the envelope. By doubling the budget over the SWL 9.0SE, one assumes that Dan Wright has indeed pushed that envelope by a demonstrable margin. Plus -- and this is significant -- his chosen distribution scheme assures that you can try before you buy. The direct competition relies solely on word-of-mouth and chatroom buzz. In the case of Supratek, it often also means a lengthy waiting period since units are custom-built to order. Anyone who's ever bought a component purely on hearsay or reviews (the same thing, really) to find that things didn't add up already knows that in this game, there's no substitute for personal exposure. Dan's decision to sell through dealers only acknowledges this oft-overlooked fact. It thus is hifi done the proper way to counter the fast and furious maximum profit schemes gaining momentum all around us. Regarding technical specifications, we have a gain of 12dB; input impedance of 50Kohm; output impedance of 110 ohm; bandwidth of 20Hz to 100kHz +/- 1dB; S/N ratio of -125dB; choke-loaded power supply; discrete constant current-sourced B+ regulators; DC heater; pure Class A, cathode-biased gain stage; Mu gain/buffer stage with zero feedback; mute delay turn-on sequence with soft start for improved tube life; motorized Alps volume control; dimensions of 17.5" x 12.5" x 4.75" WxDxH; weight of 29 lbs. The LS 36.5 is a very substantial, finely crafted machine whose surprisingly massive side rail extrusions strengthen the usually weak longitudinal edges. The top panel's rendering of the company logo in precision slots is a work of art and the panel itself, successfully preventing ringing, rests on two strips of decoupling material before making contact with the main chassis. Four hex bolts undo with the included screw driver to gain access to the insides and mount the three Sovtek valves which ship uninstalled. Once you've connected the included umbilical and the delayed turn-on process has run its course during which the motorized volume control automatically returns to zero, aim the blue-faced remote at the IR eye which is cleverly disguised as a status LED above the phase toggle. You should be in business for your first get-to-know-you session.